Our Riverside Retreat Cabin is secluded, peaceful, romantic and revitalising. 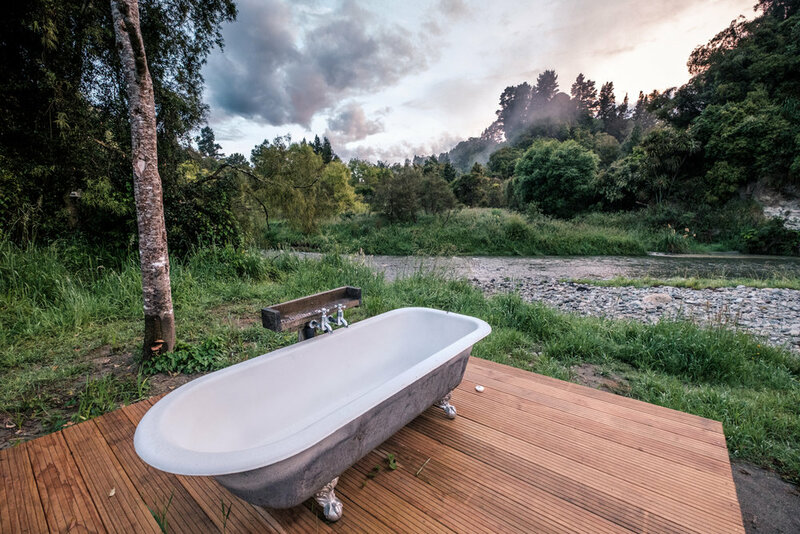 Escape away with your partner and enjoy the sounds of native birds and the pristine river. This is the ultimate nature retreat and romantic getaway located 10 minutes walk or a 5 minute 4WD ride from Makoura Lodge (we can provide transport if required). Makoura Lodge is 2 hours drive from Wellington and 1 hour's scenic drive from Palmerston North. Our cabin was completed in 2016. Double glazed windows, potbelly fire heating and full insulation makes this retreat a fantastic stay in winter months as well as summer. There are great: swimming holes, fishing spots and walks you can do around the property. The cabin is designed to give you the ultimate getaway surrounded in nature. Fitted with all the necessities so you don't need to spend long packing, just bring your personal items and food, we will take care of the rest. The cabin has gas heating for hot water and candles for lighting, there is no power; the cabin is designed for you to get back to nature and away from everything! Please note- the cabin is designed for a maximum of two people only; for family getaways please see our house or lodge suite accommodation. We allow you to bring your dog, but please do not allow them inside the cabin. Check in is from 2pm, check out is by 11am. BBQ, Hot plate, Campfire, Gas Cooker, Picnic Table, Seating around campfire, Wood, Comfortable queen sized bed, Linen, Hot water, Outdoor bath, Hot Shower, Candles for lighting, Torches (no power), Inside heater and full insulation, Soaps/ Shampoo, Crockery & Cutlery (4 people), Basic cooking equipment (tongs, pots & pans), Tea & Coffee making facility, Flushing toilet & running water, Safe drinking water, Matches, Tea Towels, Dishing liquid, Insect repellent, Cooking oil, Hammock, Potbelly fire, Gas heater. $280 per couple per night or $395 for two nights. Upon booking we ask for a $100 deposit (refundable if more than 2 weeks notice is given). Credit card surcharges apply. Minimum of two nights may apply over public holidays. Delivered 2 course meal, $45pp. Meals are generally run as chefs choice, however we are happy to work around dislikes, preferences and dietary needs- just let us know!